With biological-organic cultivation we help to save our planet for future generations! 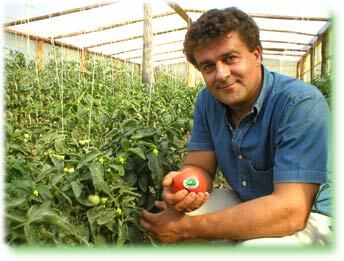 Since 1997 the Greek farmer Jannis Taleporou cultivates his soil with biological-organic methods that are controlled continuously since 1999 by DIO, an officially and European recognized organisation. 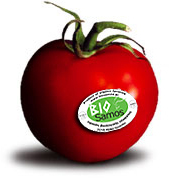 BIO-SAMOS provides you on Samos with BIO-vegetables and BIO-oliveoil, CERTIFIED with an adhesive quality mark for its original biological-organic cultivation on Samos and for the regular quality control. With BIO-SAMOS we try to make known and to spread the biological-organic cultivation within Greece ,a method that is already practiced with success everywhere in Europe. BIO-products are real LIFEproducts, produced for people in harmony with our nature. 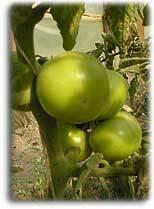 Vegetables and olives are cultivated without any chemical additions, artificial fertilizers or other pesticides. BIO-products don't have any health threatened remainders, look appealing and taste delicious. Again and again over the years the company is controlled officially and the quality mark is only given for a limited period, so you can be sure that the products are indeed BIO. You can find our products on island Samos at supermarkets 'KOUROS' in Ireon and 'BAZAAR' in Vathy. BIO-products from controlled cultivation are healthier and contain more LIFEenergy. The important factor is quality not quantity. And quality costs. That's why BIO products are slightly more expensive. In making BIO products your daily nourishment you do not only support your own health, but as well the health and preservation of our natural environment. Instead of exhausting the soil, the biological-organic cultivation nourishes the soil and saves energy, because the use of chemicals is not necessary.